HMS Vanguard at sea. 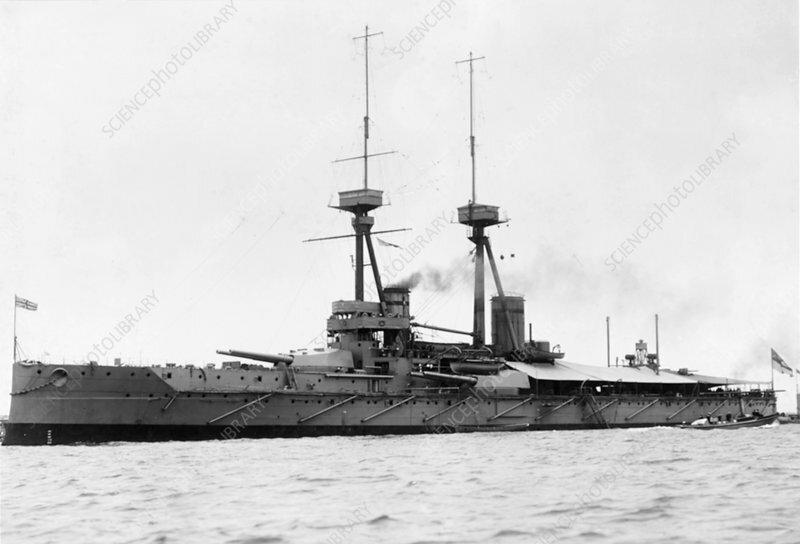 HMS Vanguard was one of three St Vincent-class dreadnought battleships built for the Royal Navy during the first half of the 20th Century. It was launched in 1909 and sunk by an internal explosion on 9th July 1917.